When an EM aficionado becomes a journalist / blogger and when a journalist / blogger becomes a musician, it gives Pharamond. Pharamond is Sylvain Mazars; this famous editor of the very popular French Blog about EM::: musique et médias en Allemagne et ailleurs. He just launches a first and completely surprising album; “Orbis Tertius”. Besides its constantly evolving structures, the main strength of “Orbis Tertius” is to sound like nothing else. Certainly there are small perceptible influences, in particular the Green Desert album from Tangerine Dream and the hiccupping rhythms of Pyramid Peak. But as for the rest, the signature of Pharamond is completely unique. A high feat of arms when we know how the Berlin School genre has been constantly assailed with the imprints of the big names that made its fame and by many followers after. "Hidden Scheme" begins with a long course which takes advantage of its 14 minutes to offer an attractive evolutionary structure which keeps constantly the listener on the beat. Phissshhh a la Tom Sawyer (Rush), a little as a giant who roams in an electric puddle, opens its first seconds. Chords erect the parts of a vaporous electronic melody on a heavy and slow rhythm. The synth paints the ambiences of an eclectic aura with pads which float on a structure of rhythm which already flees its first membrane to run away with a line of bass sequences and its keys which run to strike an invisible wall. There is only 5 minutes to the meter when "Hidden Scheme" brings a 3rd skin to its structure. 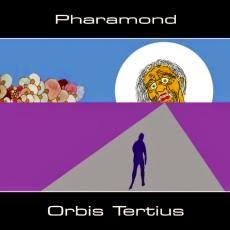 With this first track, Pharamond destabilizes any attempt of a passive listening. The structure of rhythm spreads a series of keys which agglutinates and run in a figure of rhythm which, at times, rolls at a very fast pace, and at other moments with a more passivity. The illusion to be on a railroad and aboard a rhythmic train waters our interest which grows with the electronic effects, the Teutonic percussions, the synth pads a la Green Desert and the suave solos which sneak between choruses and multiple small bells which awaken constantly the musical appetite. I like this changeability which feeds the 14 minutes of "Hidden Scheme"; a qualifier which applies very well to this first album of Sylvain Mazars. A streamer of sequences throws itself on a bass line a bit groovy. Electronic percussions are structuring the Teutonic rhythm of "Ideal" which charms with this gravitational melody blown by sequences to the tones of glass and their shadows which get loose from the lead line of sequences to offer a more differentiating tone, giving an effect of paradox to an electronic bed song where pleasant synth solos are floating such as the guards of the harmonization. After this short track, we return in the quite changeable artistic universe of “Orbis Tertius”. As proves it this delicious introduction of "Uqbar" where initial whispers, harmonies of a harpsichord tortured by frying and flute which daydreams in the sun plunges us right in the heart of the Middle Ages. This completely unexpected portion gets melting very well to a splendid movement of sequences of which the ghostly walking adopts the movement of the harpsichord. Other keys fall down and stumble in a delicious rhythmic choreography which will remind of Chris Franke's ingenuity and which sparkles under the tears of a synth, and its spectral harmonies, as the mourners, so much discreet, of a cello as pensive than subdued. What seem to be linear becomes circular with a rhythmic ritornello which swirls under the caresses of a flute and its crystal clear harmonies and a cello with its taciturn harmonies. The rhythm becomes bumpy. Rubbing its twinkling sequences to others bass ones, it takes a more jerky walking shape before taking another direction, at the door of 7 minutes, with a race of oscillating keys which spin in a shape of a spheroidal rhythmic ballet. This movement approaches a kind of paranoia with voices and synth lines which zigzag on a new pattern of movement built around more harmonious crystal clear sequences. "Uqbar" plunges then into an area of turbulence, as rhythmic as harmonious, with breezes of synth a la Edgar Froese , flickering keys, schizophrenics rustles and discreet choir which drags us towards a finale fed by dramatic sound effects, synth pads punctuated of spectral singings, wrigglings of an organic life and by beautiful solos which coo in an abstract universe which brushes slightly the one of Vangelis. After such a first part, what could we expect from the second one? Well that begins with a piano which is more joyful than nostalgic. Its harmonies dance in the discreet singings of the flutes. The movement of the piano becomes more classical. A kind of contemporary classic where the harmonious lines are cooing and get entangle in a strange rustic ballet. A pulsing line makes bouncing a repetitive key in the rippling layers of the synth. A shadow gets loose and hiccups. Another sequence brandishes a more crystal clear key which skips of a jerky pace. The rhythm becomes linear. It skips on the spot before being taken in a stroboscopic spiral, where are whistling beautiful solos under the knocks of robotics percussions. This is very near of TD's Green Desert, especially for the very ambient finale. And as nothing is really cast in concrete on “Orbis Tertius”, the rhythm gets lost in a mist where are roaming some felted percussions and pulsation of a misty locomotive. The ambiences widen undulating synth lines while the rhythm persists in its weakling beatings. Another line of sequence emerges and brings back the rhythm in a more stable choreography with keys which strike such as snips on a structure became bulimic with these rotations of percussions which give a military look to "Uqbar II". And this, in spite of all these solos which whirl and eventually suppress the rebellion. "Tlön" concludes “Orbis Tertius” with a long ambient intro before falling over a dark rhythm which pounds of its felted knocks beneath the floating moves of the synth pads. I hear here, but weakly, TD's Stratosfear. Here is a very beautiful album which has all the ingredients to please to those most demanding fans of vintage Berlin School EM. Sylvain Mazars shows a stunning maturity and a sense of writing which is quite disconcerting with all those music turnovers which bring the listener in his sonic heaven. You have guessed that to me “Orbis Tertius” is wonderful surprise! With its structures in incessant awakening, its rhythms which have a delicious scent of analogue and its electronic envelope very near to the psychedelic soils of the vintage years, this first album of Pharamond is a real find and a mosaic of charms. I'm going to be honest; I didn't really know by where to begin this review about Arcane's very first album. I had already spoken about it on G.O.D., 8 years ago (in July, 2006 to be more precise), and I really have no taste to redo this long introduction which explains the extravagant story of this ghost group set on feet by the unique Paul Lawler at the end of the 90's. I reread my chronicle and I notice that I had hardly brushed the music, concentrating rather my text on the myths and the legends of (TD/OUPS!!) Arcane! I rediscovered the music of Arcane with the brilliant A Tale of Unease, released in 2012. This album has literally given me the taste to dive back into the discography of this artist who literally has more than one string to his bow. 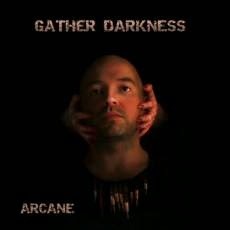 Out of stock since years, “Gather Darkness” gets a soundlift via Paul Lawler's Bandcamp page. An excellent initiative and by ricochet an excellent opportunity to put the hands and the ears on a wonderful album which transcends the periods of the Dream, from 1973 till 1982. A big bell resounds far off. Its reverberation drags a series of ringings, as well as a set of completely lost chords, which rustle in vaporous breezes to the chants as much sibylline as divine. It's with a soft fluty Mellotron and passive chthonian voices that "Dystopian Fictions" reveals its ambiences. The singings of the artificial flutes float on deaf pulsations, spreading seraphic airs of which the ethereal harmonies are mingling in a delicate dark choir. We are in the soils of the Dream and their analog years. A beautiful line of sequences spreads its keys which skip loosely, a little as Bambi on an ice-cold puddle, in the singings of wandering monks and those more seraphic of the fluty breaths. The rhythm develops slowly, as a soft poetic rodeo, with a series of sequences where the keys dance and skip with their shadows. Riffs resounds here and there. Wha-wha can also be heard, as these lost chords and their echoes which ring in the shadows of the muffled pulsations. Percussions invite themselves in this passive ambient ritornello which quietly gets out of its morphic state to force a movement of a head banging which follows a quiet rhythm but constantly inviting. Paul Lawler gathers all these elements, and even more, to coordinate a structure of rhythm which gallops on the plains of the vintage EM, with a stunning meshing of percussions and sequences, where the riffs of synth takes a harmonious depth and where the seraphic philharmonic singings bicker with very Dreamish solos. Among all the copycats of Tangerine Dream, Arcane is, and by far, the most credible. So much by his famous faked story, which is of a myth as big as that of the Dream, that by the way Paul Lawler works his compositions. Alone on board, he succeeds the impressive bet to structure the rhythmic approaches, the gloomy ambiences and the so catchable harmonies of Baumann, Franke, Froese and Schmoelling. If artists such as Redshift, ['ramp], Airsculpture or Arc took and exploited very precise structures of Tangerine Dream's music to drive them admirably well, Arcane overflies with as much ease the periods of Ricochet to Logos. The title-track offers an introduction deliciously ambiospherical where a magic flute charms some threatening reverberations. One would imagine being at the time of Sorcerer. The rhythm extricates itself from these a little bit desert moods and waddles little by little in order to eventually paint a structure stronger than that of "Dystopian Fictions". A sinister wave lets smooth a threatening veil over the first seconds of "Flight from Time One". One would guess the Mephistophelian moods of Stratosfear. The flute is magnificent and the percussions stamped of gas, a la Mojave Plan, clink randomly in a beautiful intro as well ambiosonic that ambiospheric and where the notes of an electric piano roam like lost souls. It is very film and we feel this unique imprint that Paul Lawler will leave in the course of his future realizations. A pulsation resounds heavily around the 5th minute, introducing the linear and quiet rhythm of "Flight from Time One" which takes the shape of a moderated race in a sonic forest illuminated with its thousand torments and flooded with the charms of a synth filled of spectral singings and of enchanted flute breezes. The chthonian ambiences of "Requiem" inhale in full nose the spirit of its naming. We can hear a strange prayer to ooze between two dimensions. The intro evolves between two poles; the past as the future, the darkness as the civilization. A mass for hell with spherical elements! A superb sequence is waving such as tap-dancing which flutter in clouds of cotton-wool. The movement is evanescent and cavorts in vibes as astral as psychedelic before finding refuge in papal singings. A sequence and its threatening reverberations resound in this peace of mind. Its pulsations shake a nest of sequences which begins pounding in any senses, guiding this a little inconsistent rhythm through some fluty fields and the squabbles of organic sequences which do a sound brothel in a finale on the whole relatively peaceful. To speak about "Time Will Run Back" without making narrow links with Encore and of its angelic trumpets is to show misunderstanding or make proof of bad faith. Nope, Lawler does not just try to copy a style, but rather to unite two bridges with rhythmic sequences, or electronic percussions, more modern which join two legendary combinations of the Dream; periods Encore to Logos. The rhythm? The ambiences? Melodies? Well measured and especially ordered on a structure which allies a fiery rhythm to more ethereal moods where the Mellotron flute lines are breathing of a more virginal innocence. I tell you; go get this one! Some slow beatings of metallic wings are making the squeaking winds float lazily in a nest of reverberations to the parasitic brilliances. Their chants are caramelized by howling metal. The percussions which fall delicately awaken other chants. That of the synths. They are twisting and cooing with passion. In fact, it looks like they cry. Quietly "Monto's Production Line" extricates itself from its morphic membrane with a movement of sequences which gets closer by making its keys wriggling. Solos are always seraphic. Melodious, one would believe to hear Tangerine Dream. They float and daydream on a structure of rhythm which pounds nervously but without abandoning however its ambient shroud. Because if our feet drum on the spot; our winged arms follow the curves of the solos which feed the always rather ambient rhythm of "Monto's Production Line". And it's true! Even if the percussions and sequences shake the moods. You will tell me that you hear a kind of Jarre that I'll answer that you are not really very far! Static rhythms which pound in structures of dub-techno or of dub house rather morphics and which pull us towards a dance floor where we flutter on the spot as a bird trapped in a gust of circular wind, the music of Stockman makes a wide range of the sub-genres of EM which exchanged its clothes of ambiences for those a little more muscled of the cerebral dance. And this will never have been as tangible as with “Part of the Industry”, an album which brings us to the doors of a dark and creative dance music. With its loops which spin in the heavinesses of a resonant line of pulsation, of a wave-like bass line and of percussions quite hampered to harpoon the rhythm, the title-track offers a floating structure of rhythm. Fragments of harmonies and hollow winds are grafted in a musical tension of which the perpetual restraint plunges us into a structure of rhythm which feeds its ambiguity in a pattern of ambient EM. There are indeed elements of tension, but nothing really explodes. Everything remains relatively ambient. This is like a storm where heterogeneous particles crowd in a long narrow tube. The walls eventually tremble with "Industrial Hauntings". After a brief ambiosonic intro; pulsating sequences and hammering percussions draw up the lines of a rather heavy and lively rhythm. Electronic castanets are flavoring this linear rhythm of psychedelic fineries while that a powerful oscillatrice line draws a wide circular aura of goa, of trance. Stockman trades his clothes of passive electronic monk for those of a DJ who makes his crowd skip until exhaustion. The approaches are always so minimalist and the ambiences remain always so cosmic, except that Godfried Stockmans strives to graft parallel elements which will conquer as much your taste of throwing yourself on a dance floor than to listen to. At the beginning my ears were rather timid; we are quite far from Berlin School or from ambient music here, except that the main beat, very lively, and the lines of rhythms, always rather variable, make that one eventually liked it. And not just a little. The phenomenon also applies to the powerful, but less heavy, "The Factory Never Sleeps" which reminds me the music of the psychedelic trance of the 90's. And what to say about "Brains in Overdrive"? Its introduction is simply delicious. Sequenced keys skip in an effect of cascade in order to drum like touches of piano in the jingles of clapperboards. The movement remains ambient and jumps (hiccups) constantly under a sonic sky multicolored of thousand complaints, as of one thousand noises of a futuristic city on the point to fall asleep. Except that we do not sleep! Cybernetic gurglings invite each other in the static dance. They excite the passive nuances and guide "Brains in Overdrive" towards a heavy oscillating structure which waves lustfully beneath a brilliant mixture of percussions and bass sequences. We should crack for "In Time Delivery", a real FM kind of track. The intro is very ethereal. And want it or not, these synth lines and their seraphic signings prickle the brain. And then the rhythm comes. It falls. Oscillating on sequences to vertical zigzags, hesitating on changeable and slamming percussions, it gets wet for a suave down-tempo which sounds like a kind of slow drum n bass where are cooing the solos and plotting a cabalistic ambience. We fall for it from the first listening. The imprint of Jarre is all over the percussions! Heavy pulsations, flying percussions (and slamming), spheroidal sequences, automated dialogues and oscillations which roll like some slow sonic waves; "No Supplies Left" mixes all these ingredients to offer a solid vibrating techno with nice small ambient phases and cybernetic harmonies which give a futuristic approach to a music which is not unknown to us. Its deep-mix mixes cosmic moods in a movement of gradual trance, but not total, which burn the fast and nervous pulsations, as well as these floating riffs which rock the rambling synthesized harmonies. 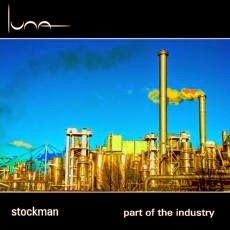 The strength of Stockman is to mix well an ambient and cosmic approach in rhythms which are more human. Bang-bang and tsitt-tsitt are well measured, the cybernetic dialogues are not too much exaggerated and the percussions click just enough in order to not want to close the sound. The melodious portion, as well as the ambient phases, is splendidly lying in good synth solos which remind the harmonious tones of the Dream, analog period. In fact, “Part of the Industry” strengthens the approaches of Kraftwerk, Element 4, Tangerine Dream and Jean Michel Jarre in an envelope of more contemporary trance. A beautiful buffet which feeds well the ears without asking too many efforts to the feet. An electronic dialect and intergalactic gurglings open the first seconds of “Nano”. The long title-track plunges towards a cosmic universe that Tomita once prepared with his brilliant Kosmos at the end of the 70's. Between the retro analog sounding and the new Berlin School, Fratoroler invites us to another fascinating sonic adventure in the heart of the Teutonic electronic experiments. Chords are ringing here and there, while "Nano" embalms our ears with electronic breezes. The silvery particles are melting in this immense cumulus of white noises of which the sparklings bleed to white the hot caresses of synths. Always, riffs and chords are roaming in search of a more tangible structure. And a crystal clear sequence goes out of this ambient slump where orchestrations sculpt beautiful listening favors. It drags a series of keys which skip of a light step, shaping an ambient rhythm which is nibbled by a bass line and its furtive notes. Both lines draw a harmonious sequences & bass duel of which the echoes draw parallel rhythms which complement each other, while another movement gets loose to forge a more fluid approach. The drizzle of breezes amplifies its stranglehold on this rather passive rhythm which, calmly, misleads its last beatings in a black hole where abstruse choruses and organi-cosmic chirpings fill ambiences which grazes the interstellar esotericism. Evasive solos, kind of Jean Michel Jarre, float over this profound ambient passage, while a sequence escapes and entails its pals in a series of rhythmic loops which drum such as a light cosmic gallop. Here is of what are made the 66 minutes of “Nano”! Thomas Köhler and Frank Rothe exploit at full the 20 minutes of "Nano" by offering an approach of minimalist structure which divides into halves its lazily chords in order to shape figures of rhythms which split, forging so some splendid and hypnotic harmonious rhythms, and go astray in some dense ambiocosmic passages where solos and electronic effects make the link between a retro approach and a more contemporary one. If "Quarks" forces the doors of a more steady rhythm (I adore these ambient solos which float all over “Nano”) with two movements of sequences to the impulsive beatings and opposite tones, the more ambient and a bit gloomy "Macrozoom" plunges us into this delicious electronic universe where the sequences sleep, ring and float in forms of passive rhythms everywhere around suave singings of synth with sweet fluty fragrances. As for me, "Systematic Different" is the cornerstone of “Nano”. Its intro is perfumed by a sibylline approach with fogs, filled of spectral voices, which float on a cemetery where bones are dancing. An intrusive pad of a bucolic organ unveils a somber sinister smoggy chant which floats with lugubrious reverberations. We are in a pit for the black shadows, where Klaus Schulze has already been, when the brilliance emerges from the darkness and when pulsations meditate the slow ambient rhythm of "Systematic Different". Definitively, Schulze has been here. A charming flute also pierces the moods. And its peaceful singing makes undulate some astral particles, whereas that a soft movement of sequences amasses its keys which wave in the curves of a bass line and in the feather hand of the soft floating orchestrations. The rhythm may do peaceful kicks that it stays of silk and scatters independent keys which split its line in order to enrich it with an approach as much more harmonious than rhythmic. We float at full in the cerebral rhythms. And the lines of synth are parading between our ears such as celestial bodies which illuminate at times a quite black cosmos. And the solos come. Ambient and floating, they spread a musicality so vintage and so serene as the charm persists. And the sequences! Hot and juicy, they make kicks with analog tones which become entangled with the electronic dialects and which make that this music defined with difficulty its parallels between cosmic and esoteric. It's beautiful. 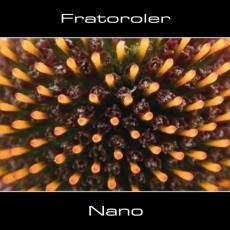 It's very good and that completes another very beautiful album from Fratoroler. But are we really surprised? Mythos is quite a character, nearly a living legend if we consider his roadmap, in the universe of EM who likes to touch all the phases of his visions and developing complex works with its panoply of electronic toys and assorted instruments. From rock to Krautrock and to electronic, everything he brushes ends to be something quite tasty. A studio recording has no secret to him. Just throw an ear to his albums in the best of the German psychedelic years and you will observe this intense and very enveloping musical structure which feed all of his compositions. And this “The Dark Side of Mythos” is no exception. And if the intriguing artwork appeals you, tell yourself that it's nothing compared to the music. It's directly from depths of the infinite hell that "Rose X" opens. Latin singings surrounded by lugubrious animal tones circulate around metallic beatings which click like the clock of the death. The beat is mainly ambient with anvil hits which shape the clock of a tenebrous world. It rests so on a lot of metallic noises as well as crying from beast or tortured souls. Dead moments punctuate short atonal phases where we guess a soul being sacrificed...or murdered. This is creepy like hell. The beat returns with a series of clinking which are flooded by monk's prayers and by mooing of unknown beasts. But don't get me wrong. The beat is very atmospherical and moves through a mechanical chain which clinks and resounds among strange moanings and howlings. This will be perfect for Halloween to afraid the sneaky ones who want candies. We can imagine the worst, so much the music and ambiences which nest all over “The Dark Side of Mythos” flirts with the satanic neurosis. "Trust no One" follows the same corridors of the darkness on a so smooth sequence move which make waving its key, some of them are organic and other are in anvil tones, in an ambient setting convenient to the satanic rhythms. This is great horror picture music. "X-Cursion" is quieter and also more musical, even with its sinister and disturbing sound effects, with a smooth sequence pattern which knocks a slow beat beneath a dense horrific sound pattern. We are indeed in the very dark side of Mythos. The moods are heavy and a nice Mellotron flute emerges to charm are ears with an almost sensual chant. This is a very nice passage. "The Truth is out There" follows this path of indefinite structures of rhythm. In fact, the beat is slow, almost absent, and beats through organic sequences which gurgle in a dense uncomfortable mood. Master of the ambiences and of the places, with his systematic and much chiselled approach, Stephan Kaske keeps us on the alert with slow and mesmerizing rhythms which move surreptitiously in tortuous atmospheres that he draws in order to lead us in halfway between fright and charm. Let's take "Mythos X" and its lento staccato effect. The mood is totally frightening with those diabolical whistles which float on a floating structure of rhythm a bit jerky. Intense and dark, the track evolves subtle in a more musical approach worthy of a movie where the gentle soul runs breathless, his beloved nearly turn into a vampire, in a cemetery fills of mud up to his knees. Scary but quite bewitching. This is the best part of this ode to terror. 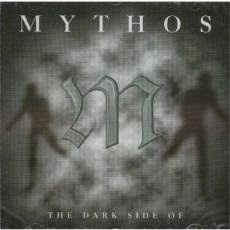 The moods and rhythms of “The Dark Side of Mythos” go quieter and nicer as we advance on the album. Always dark, "I Want to Believe" turns out to be a very nice and ambient carousel. The movement reveals two parallels, and paradoxical, lullabies which slowly turn around in a deep setting of fear, thanks to thunders, violin mist and a sneaky march of sequences. The more the music gets in, the more we are enchanted. This fascinating spiral swirls delicately on a movement which takes its intensity in its tone, like an inverted bolero. A totally divine moment which pursues its intriguing charm with "X-Traterra" and its gloomy ambiences where are fighting segments of dark harmonies which sparkle like lonely shooting stars in a foreign universe. I sense a bit of Software there as the movement goes near the doors of cosmos. It's impossible to avoid any links between “The Dark Side of Mythos” and the apocalyptical music of Mark Shreeve, or yet some big Redshift but in a less improvised setting, and of course Jim Kirkwood. "Zombies´S Supper" ends this ode to terror with a nice melodious approach stuffed by keys with shimmered tones which swirl and swirl, such as an unfinished melody. Unmistakably, Mythos wears the clothes of a Ghost of The Opera new genre with this work, all the same intensely theatrical, which is “The Dark Side of Mythos”. In spite of the very black moods, the music survives thanks to finely wave-like rhythms. Ambient certainly, but deliciously lively. And no! Stephan Kaske has not lost his rather melodious approach which floats like a balm on these ambiences of film terror of which the sound effects bring us near to the imaginary Satanism. A music ideal for Halloween, or for your murders and mysteries evening, “The Dark Side of Mythos” will blow you literally away and brings you also towards the depths of your child fear. Fans of Jim Kirkwood music; go get this one!